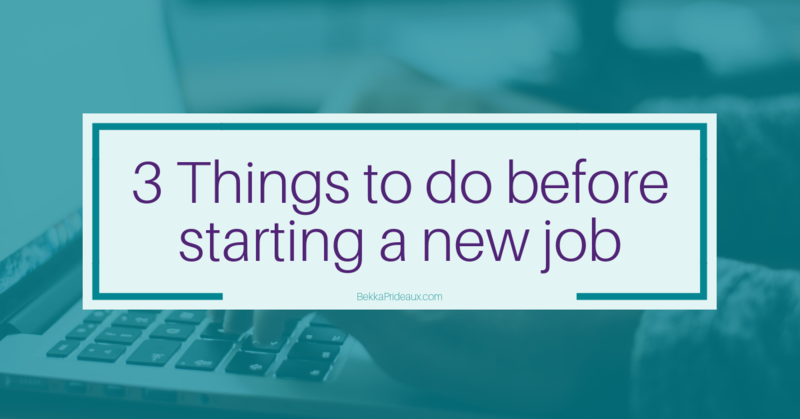 Effectively starting a new job begins before your first day. Here are three simple things you can do to set yourself up to impress and make a great impact. Well done, you’ve landed your dream job! You’ve celebrated your success and are getting ready to begin your new adventure, determined to be a huge success and make yourself indispensable to the business. They’ll soon be wondering how on earth they managed without you. But mixed in with your excitement may be an element of trepidation. As the first day approaches, apprehension may begin to kick in and you may find yourself wondering how you can make your dream of success a reality. As ever, the keys are preparation, clarity, focus and regular progress reviews. And you don’t need to wait for your first day to get going. Based on my experiences with those about to start new roles, here are three things you can do before you even start your new job which will help you transition into the new role successfully and have you making a positive difference quickly. 1. What excites you about your new role? Before starting your new job, take a moment to capture what excites you about the role, why you took the job, what it offers you and what you want to achieve. Being clear about what is important to you in that role will help you focus on the things that are going to make the biggest difference and which matter most. Most people will have second thoughts at some point – often a couple of months into a new role – when they wonder why on earth they left their old job and thought this one was a good idea. At that moment, being able to remind yourself why you were excited about this role will help you manage that wobble and move forward constructively. 2. Who do you want to be in your new role? When you are starting a new job, you have a chance to redefine who you are as a leader. A fresh start with new people means you can magnify your leadership strengths and leave behind any traits you want to move on from. You can become the leader you want to be. Before your first day, spend some time thinking about your values and leadership style. What has worked well for you in the past and how can you leverage that in your new role? 3. How are you going to approach this new challenge? We already know you want to be a success in this new role, but how will you know if you are a success? Take some time to pull together the information you already have about the organisation, the people you are going to be working for and with, and what they are hoping you will bring to the role. This will give you some strong clues about what success in this role looks like. What else would you like to know and how much can you find out before you start? While it is important to keep an open mind, many people also find it helpful to have a framework or an approach in mind which will help them sift through everything they are learning and work out how they are going to make a positive impact quickly. What is your approach going to be? Being clear about what excites you about your new role, who you want to be as a leader in that role and how you are going to approach the new challenge will position you to make the most of the opportunity and make a great impact. Successful transition into a new role is a process which starts before the first day and which can take a few months. Supplementing the company induction with Executive Fast Start Coaching can make you more successful in less time. Book a free call and let’s discuss.